Sunspot Count reaches 7 year low. Well maybe New is not the word, but redesign might be a better way of describing my Butternut Vertical antenna. Can’t wait to see if it gives me better performance. Hi Hi! 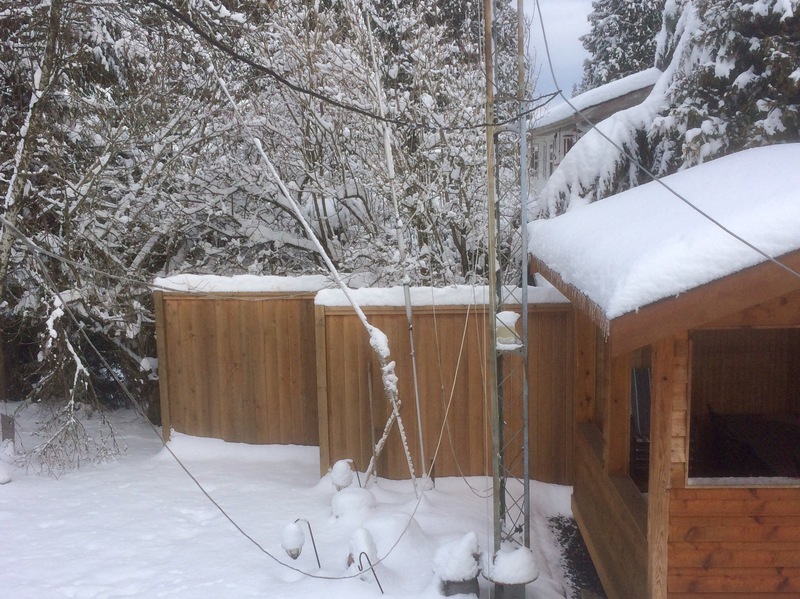 Just happened to glance out the window last night as I was going to bed and Mother Nature decided she was going to redesign everything about the antenna. Sure don’t remember having a bend in it after the coil. Oh, well repairs in the spring.